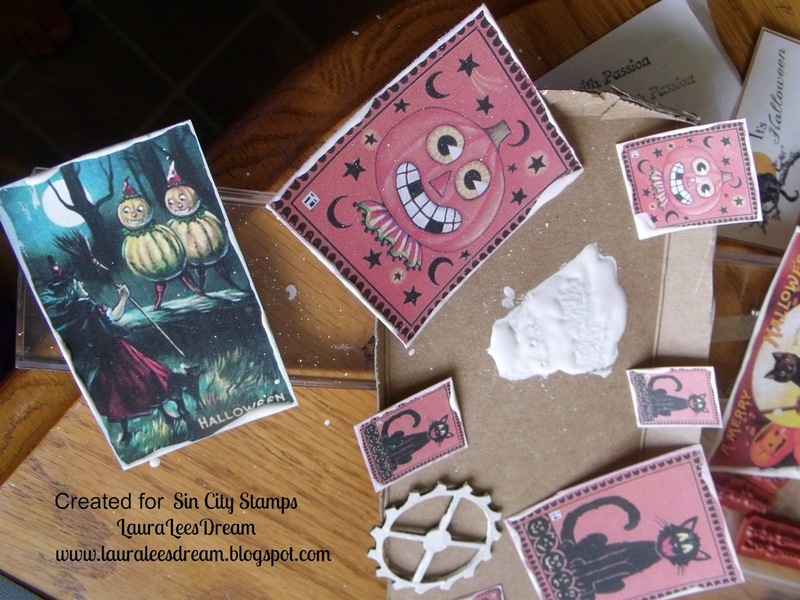 Today is my second post for SinCity Stamps. This half of the month for them is all about Halloween. 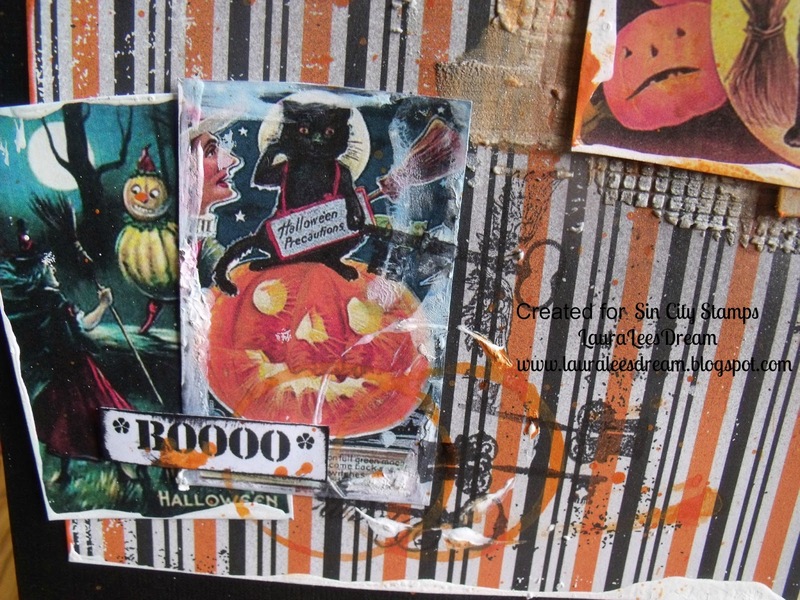 I am not much of a Halloween gal but I love the images from Altered Pages . I also used an older sketch from Sketchabilities. I chose my paper and all the goodies I wanted for my layout. 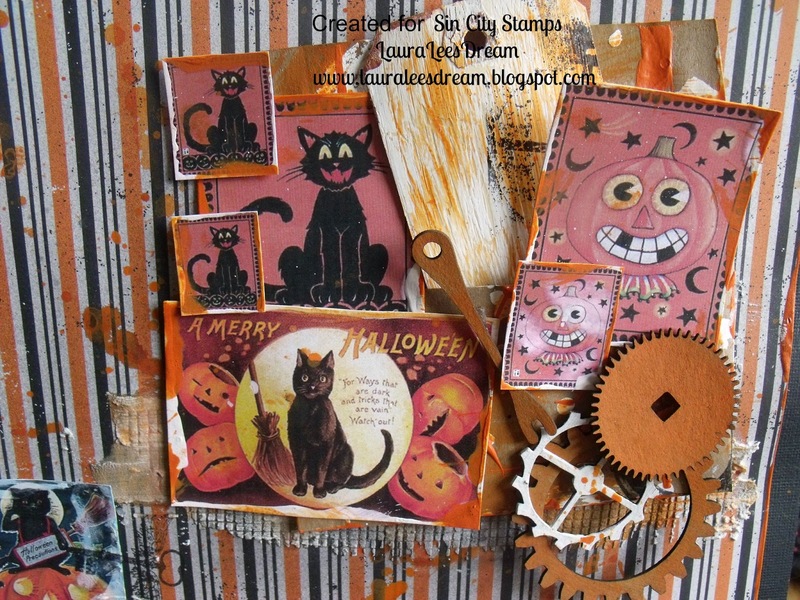 I also painted the gears and outlined all Halloween collage papers. I added dry wall tape and then added homemade texture paste. Then I decided to peel off dry wall tape. I added paint and black gesso. I then started to layer. 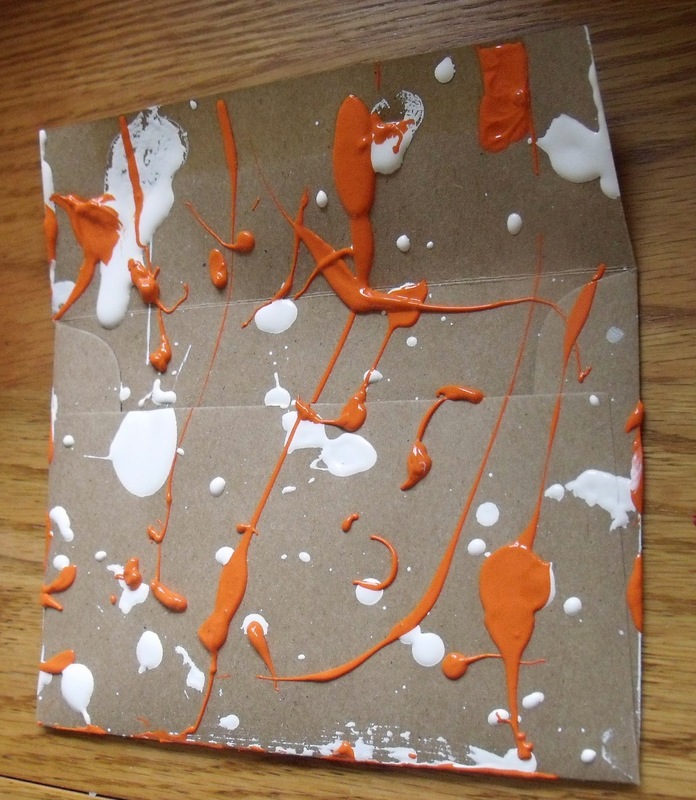 The envelope first.. then the collage papers. I added the gears last. I added a tag that I will add a picture to. I love the depth of this layout. 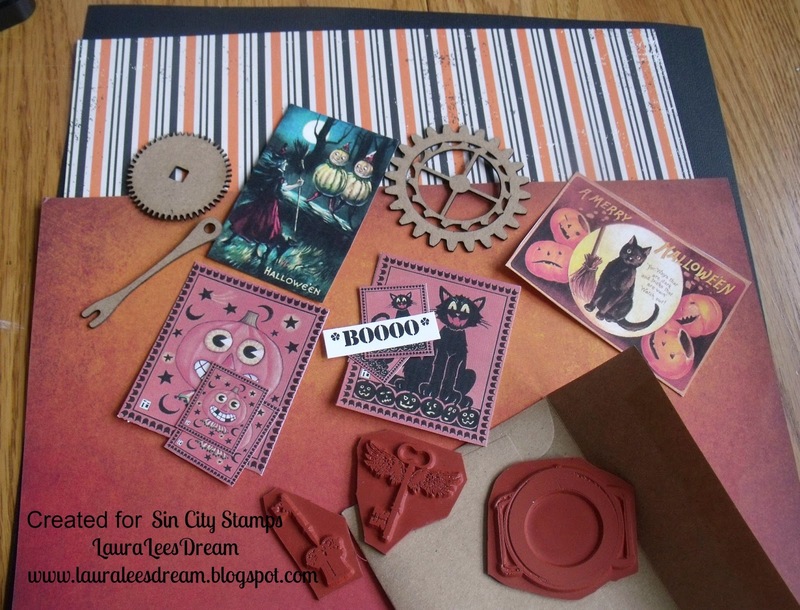 I really enjoyed making this Halloween layout. Fabulous layout!! You really got a lot of depth and dimension! Lots of details on your layout, Laura. Love it! 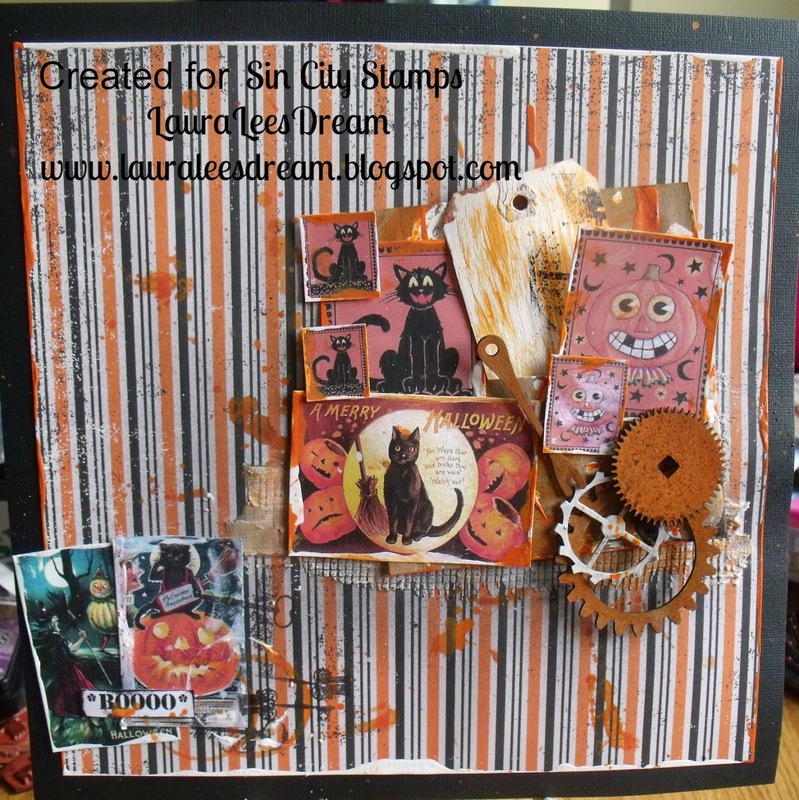 Great layout, Love all the paint and wonderful layering of all the fabulously fun Halloween Images.